Rib antifoul and coppercoat services. At Rib Shop we can apply several different solutions for your Rib antifoul needs. The standard antifoul we use on Rib hulls is Hempl’s Hard racing antifoul. Hard Racing is an acrylic-based hard antifouling with a high content of cuprous oxide and organic bioactive material. It is ideal for glass fibre hulls and works well in both cold and warm waters. At Rib Shop we also apply Coppercoat. 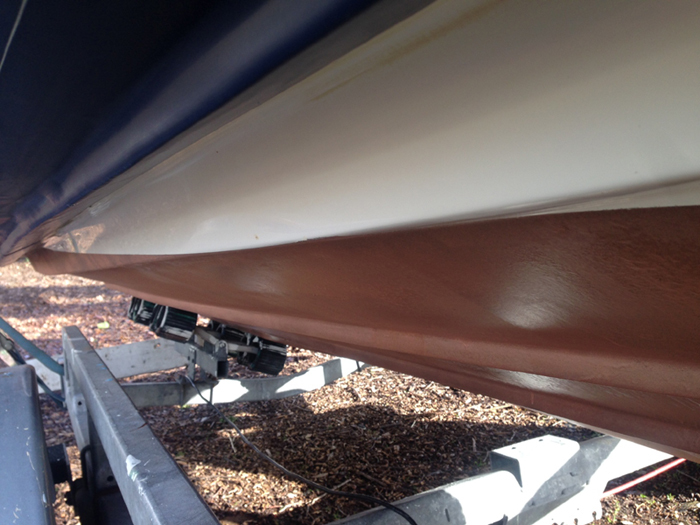 Coppercoat is a powerful and long lasting anti-fouling it’s hard wearing densely copper filled epoxy resin is successfully protecting tens of thousands of boats the world over. As Coppercoat can last up to 10 years without the need for further coats it can save owners time and expense. Rib shop has a clear antifoul product that can be applied to both Hypalon and PVC tubes. The product provides a clear high gloss no stick finish and t is free of solvents, harmful chemicals and metallic elements so does not damage the tube material or marine life.